Swap out those worn out old shocks on your bike for a really nice pair of replica shocks that will give you a nice ride and won't break the bank. 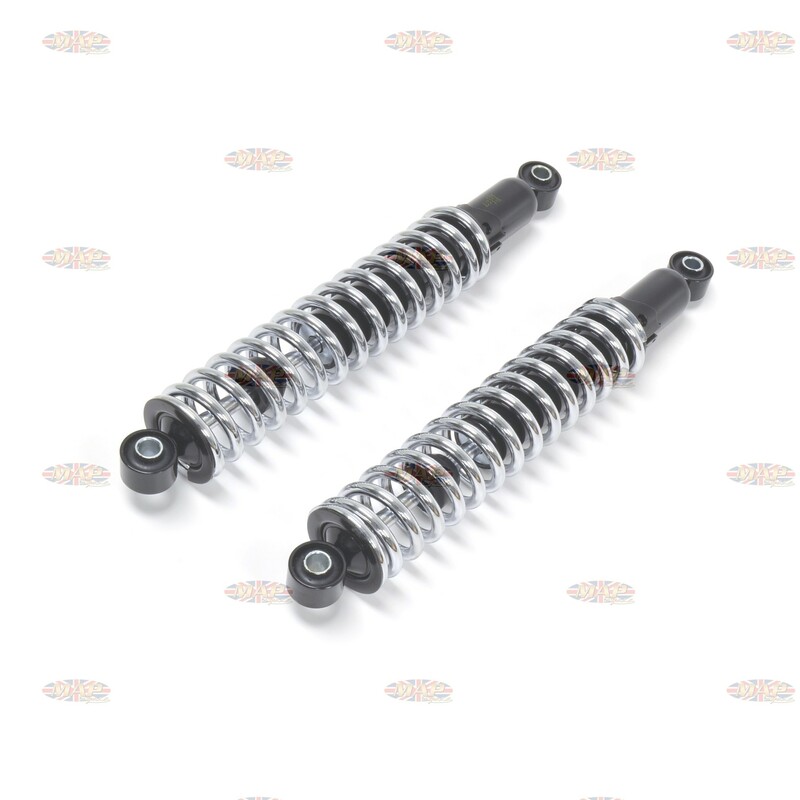 These shocks provided a perfect vintage look and are designed to bolt up to a variety of Triumph models. Fits: T90 (1969 and later), T100SS, T100T Daytona and TR6 Tiger. Overall length eye to eye: 314mm (12.375"), bushing eye I.D. 9.5 (0.374"), bushing width 24mm (0.944"). Spring rate 145 lbs. Have a Question about Triumph Vintage Replica Rear Shock Set ? Swap out those worn out old shocks on your bike for a really nice pair of replica shocks that will give you a nice ride and won't break the bank. 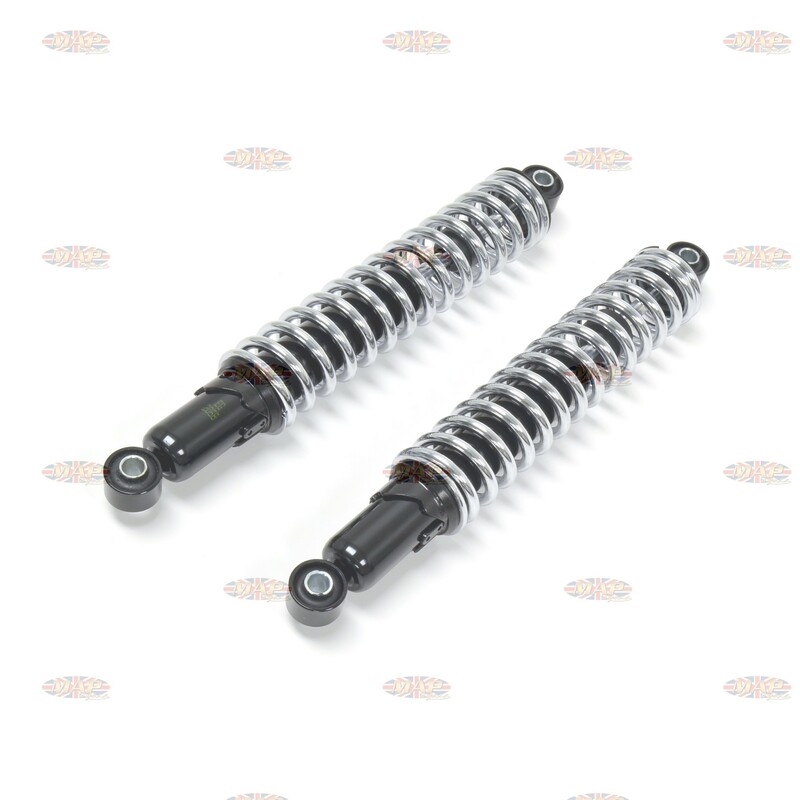 These shocks provided a perfect vintage look and are designed to bolt up to a variety of Triumph models.